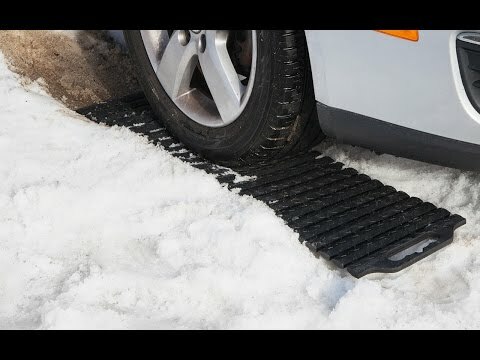 If you’re ever caught with a helplessly spinning tire, Traction Mat’s linked treads can give needed grip on icy, muddy, or just uneven terrain. Founder Meghan Edge found herself in a common predicament—in her car, stuck in the snow. She used a flat mat to try to get unstuck, but it wouldn’t grip the uneven ground. Meghan designed Traction Mat with innovative links that make it flexible, so it hugs the ground and won’t crack. Unroll Traction Mat under your tire (either the rear or front driver’s side, depending on whether the car has rear or front wheel drive) and simply drive over it. To have it on hand just in case, the mat rolls up easily and compactly to stow in the trunk. Normally when people get stuck, they desperately improvise with whatever is nearby—like a shovel or a piece of plywood. Traction Mat is a much saner way to give tires some needed traction. Hello everyone! I'm proud to bring Traction Mat to The Grommet. I'd be happy to answer any questions you have! Hi, would I need 2 mats, 1 for each tire (FWD or RWD). No, one mat is all that you need to get out of mud, snow or ice. Thanks for considering the product! 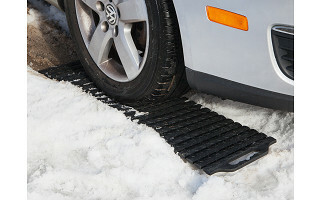 We have tested the Traction Mat extensively on ice, snow, mud and sand. Put the mat as far under the tire as you safely can get it. Even if it is just a tiny bit under the tire it will provide a grip for the tire to grab. I have an all wheel drive SUV, would I need two? I know you told Perry that only one is needed, don't know if that's just for FWD or RWD. Thanks! 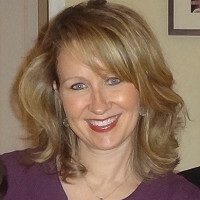 @Julie Hi Julie, you would still only need one Traction Mat. I know it seems counter-intuitive, but all of our testing showed that one Traction Mat worked as well as two! @Meghan Errr... isn't the point of an SUV that it does not get stuck?? @david eer David. Even military grade Humvees can get stuck. That's what winches are for. If you live in a cold climate, 4wheel or allwheel will only go so far on ice and snow. If the snow is deeper than your ground clearance, you will need tank tracks or you are going to get stuck. Also if all four wheels are on ice at the same time you will get stuck. You're absolutely right! That's why it pays to have a Traction Mats for traction, Matt! i feel like the video is purposely avoiding showing it helping the car out of the spinning tire situation. you show the tire. then put the mat underneath it. and then it driving over. but i don't believe that the tires were actually spinning. i am on the fence about this product and would've loved to see it from start to finish to actually believe it. i'm not trying to be rude but i'm still skeptical. do you have a link to a video that shows what i'm looking for? Hi Sophia, Our goal was to show a close image of how/where to place the Traction Mat so that new users would see how easy it is to safely use. Please note that the vehicle should be fully in park or turned off when you place the Traction Mat under the tire. I apologize that the footage we have doesn't first show the tire spinning - that is a great idea for our next video shoot. @Meghan thanks for your response! i'll have to think on it a little longer but it really would help ease my anxiousness when driving alone during the winter time. Hi Sophia, I agree with you. I was stuck in the car with my two little girls and the traction mat I had dangerously failed me, which is why I designed this one. If you do decide to purchase this item, I hope that it gives you a little more peace of mind when out on the snowy/icy roads. I've seen similar products on TV, in stores and online. Your price isn't bad, although it's in the high range of what I've seen. Can you tell me what sets your mat apart from other traction devices that are out there? Hi Jeff, thanks for your question. There are similar products on the market, but there are a couple of things that set ours apart. First,the multi-link design allows the Traction Mat to roll instead of fold. A folding mat can easily crack or, more dangerously (and what happened to me), the mat can crack and then became a projectile that shoots out from under the tire. Our rolling Traction MAt hugs the ground. Second, the plastic parts of our Traction Mat are made of LLDPE (Low Level Density Poly-Ethylene). The cord running through the mat, connecting the individual links, is nylon mono-filament. We use LLDPE because this material can withstand temperatures as low as -30 degrees without freezing or losing its main properties (other plastics freeze and become brittle - another reason that they tend to crack). Nothing I've seen talks about the wheel simply pulling the mat under it and then behind it (as a possible projectile). A few years ago, when stuck, I used the floor mats of my van in a similar way and they simply shot under and behind the tire. Is there anything on the bottom to help avoid this from occurring? Hi Ron, there are raised treads on both sides of the Traction Mat. Meghan, I know this has been discussed. But why do you not offer this in a two pack? In my extensive experience being stuck in mud and snow/ice; when stuck if one tire has traction the differential transfers power to the other tire and then that one spins. If only one tire has traction, you are still stuck. Having one would help if only one tire is stuck/slide off the road. But in general it seems like two would be needed. Similar to how chains come in two packs. Thank you for offering this, I may just order two. Hi Stephen, once we started the field tests (different weather/situations and different vehicles), one mat was able to successfully free the vehicle. To keep the price reasonable, we opted to offer it as single piece and give each customer the option to purchase either one or two. I cannot believe this popped up in my email this morning. We have been stuck in snow and ice twice in three days in an AWD vehicle. After an hour of spinning we used a pizza box and wooden shelves to get out. How I wish your Traction Mat had been in the car - ordering right now. Hi Candy, good usage of available materials! Now you won't have to hope that you recently had a pizza night :) The Traction Mat comes with a storage bag and rolls up, so it won't take up a lot of room in your trunk. @Meghan Stuck in an AWD vehicle? Didn't you buy one of those so you would NOT get stuck??? Take it back to the dealer. Great idea. I'll pass it on to my sister in law who live in the Buffalo, NY area. I live in Florida so I've not had a need. Dear Hazel, lucky you! By February I am always dreaming of Florida. I just want to say that I would love to try many of the products on the Grommet, but the shipping is ridiculous! To order the Traction Mat, the shipping is $22.47 ground to Alaska. That's almost makes the price double. It's pure and utter nonsense that shipping to Alaska is so high. Alaska has been part of the United States for over 50 years now and I know it doesn't cost that much to add an item to a truck or a barge. Hi Diggs, best bet is to reach out to Customer Service through the Contact Us option at the bottom of the page. Hi Diggs, thanks for the comment. Believe me, we have nothing but love and respect for The Last Frontier. Unfortunately, distance remains the number one contributor of high shipping prices. Hi Sandra, no need to apologize. We want all customers to do their due diligence before purchasing. Do we want that due diligence to lead to us every time? Of course, but we know that isn't always going to happen and we thank you for the support you do show us. Hopefully in the near future we can make the shipping process to the great north west a better one. As for this particular instance, definitely check out Home Depot as opposed to the...ahem...rainforest. I have created similar devices in the past using carpet and even tire chains. I have found that once I got moving, I did not want to stop to retrieve the device so I connected a tether to it to bring it along. It would need to be short enough so it didn't allow the device to reach the rear wheels if it were used on a front wheel drive car. Give this thought to your engineer. I'm not interested in competing with you. @Walt The tether is a great! idea. I had a similar mat from AAA and once I was unstuck the mat flipped up in the air and over the side of the road...so I lost it. Keeping it attached until you can stop safely would be a great enhancement! Dear Walt and Gail, we will work on it for Gen 2 of the Traction Mat. Thanks for the suggestions! Hi Nancy, you can fold or roll the Traction Mat. Folded 3 times, the dimensions are 10inx10inx3in. Or you can roll it tightly, in which case it is 10inx6inx5in. A storage bag is included with the mat. The storage bag measures 11.5inx11inx4 (plus handles) Or you could lay it completely flat if that makes more sense in your SUV. Hi Nancy - the dimensions are a little hard to read above, sorry! @Meghan Gadzooks! not enough space in an SUV?? AND you get stuck in it?? And you still have it?? is this the same mat that Home Depot is selling? Hi David, yes, this is the same mat! Could this mat also be used on dry sand? 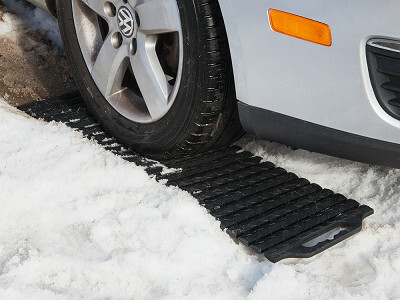 Hi Linda, yes,the Traction Mat can be used on sand, mud, snow and ice. 1) Are these made in the USA or overseas? 2) Do you offer any warranty with them? 3) 6 inches is rather small, I have an off-road truck that has an 8.5 in tire how would these work? 5) The vehicles in the video don't look stuck; you had said that the other traction mats shot out as a projectile but if you use other traction mats as you do these and gently accelerate it should give you the same effect shouldn't it? Could you explain? Thank you just trying to weigh options! Here are the answers to your questions, I hope they help! 1. The Traction Mat is made in China. 2. We do not currently offer a warranty. However, if you purchase this item and have an issue, our contact information is on the box and we take all customer concerns very seriously. 3. The width of the Traction Mat is 10 inches and will work on your 8.5 in tire. The 6 you see in the above measurement references how tightly you can roll the mat (10 x 6 x 5) if you are tight on storage space. 4. We did test the Traction Mat on sand. However, we did not test it on desert sand or what might be considered "extremely soft" sand. We tested it at a work site and on the dry sand of a beach in the Northeast USA. I don't want to make a claim about desert sand because it might be quite different. 5. Other mats on the market can crack and/or become projectiles for a number of reasons,even if you accelerate fairly slowly. The links on our Traction Mat allow the mat to hug the ground no matter how uneven it might be. Most mats on the market are stiff, which greatly increases the likelihood that the mat will crack from the weight of the vehicle and the force of the tire rotation. When other mats crack, pieces are much more likely to fly out from under the tire (and you are still stuck). We also use LLDPE (Low Level Density Poly-Ethylene). because this material can withstand temperatures as low as -30 degrees without freezing or losing its main properties. Other plastics freeze and become brittle - another reason that they tend to crack, even if you drive gently over them. Thank you for taking the time to ask such detailed questions and to review the responses. I hope these help, but if you need additional clarification, please send those questions my way too! Have you tried these in sand? We go to the sand dunes and of course sometimes get stuck. @Deborah Sorry, I see the above comment. I've seen these type tracks at the sand shows and they are much more expensive. I'll get a couple of them. I'm pretty sure they will work. We have used sturdy rugs under the tires and it helps get unstuck in the sand. No problem, Deborah, thanks for the comment! We hope you find success! When will direct shipping be available for Canadian orders? I wish I could give you a definitive timeframe, Tamara, but I can't at this point. But you should know that it remains a top focus for us moving forward. Hi Robert, the raised treads on each side of Traction Mat and linked design, which allows Traction Mat to hug the ground, both prevent it from shooting out. If you’re ever caught with a helplessly spinning tire, Traction Mat’s linked treads can give needed grip on icy, muddy, or just uneven terrain. Founder Meghan Edge found herself in a common predicament—in her car, stuck in the snow. She used a flat mat to try to get unstuck, but it wouldn’t grip the uneven ground. Meghan designed Traction Mat with innovative links that make it flexible, so it hugs the ground and won’t crack. Unroll Traction Mat under your tire (either the rear or front driver’s side, depending on whether the car has rear or front wheel drive) and simply drive over it.